I tend to complain if I play a single table that lasts more than two hours. I can't even begin to imagine what was going through Kathy Liebert's mind when she started playing into her seventh hour in yesterday's NLHE Shootout event. One hundred players started Day Two of the Shootout event with ten tables of ten players each. The winner of each table would advance to the final table, which will be played later today. Charles Sewell was the first table winner to emerge in just under four hours of play. 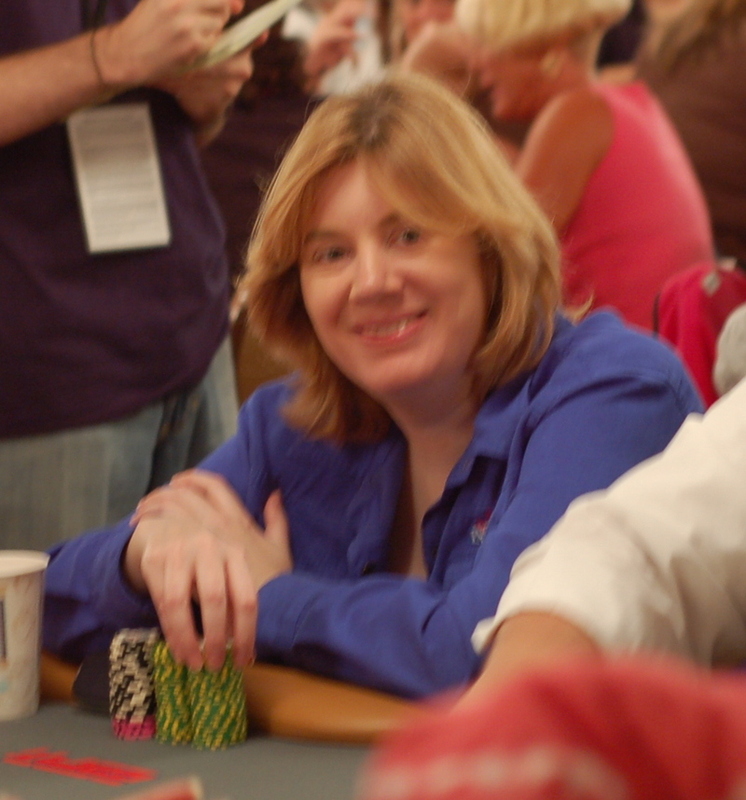 Eventually nine table winners were decided while Kathy Liebert and Chad Layne battled heads-up, vying for the last seat at the final table. Liebert just couldn't catch a break. If she had middle pair, Layne had top pair. If she had a flush, his was a tad higher. Eventully Liebert succumbed; the last player out before the final table.